This sale will consist of some very fine ivory canes. back before the board in the later part of June or the first of July. is the earliest that this could occur. Yes, except for the implementation of our "use after import" regulations. was imported pre-1990 (for African elephant ivory). 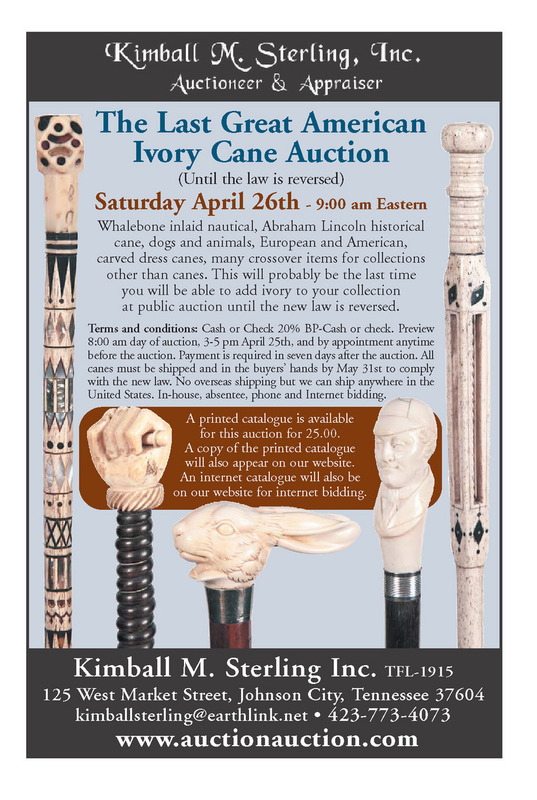 Great American Ivory Cane Auction" Stay tuned.